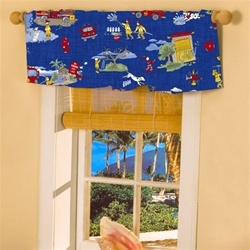 Firemen Valance - To the Rescue! 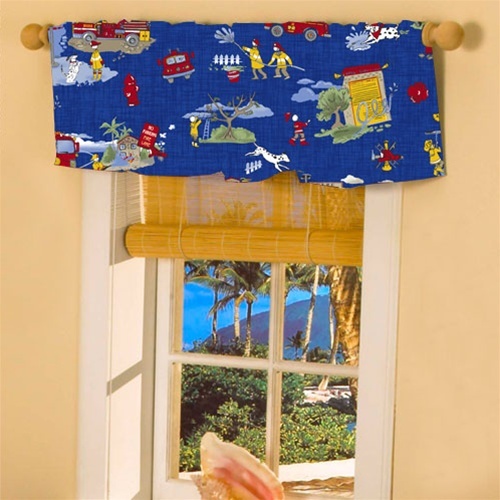 This Firemen Valance is a great highlight for any boys room! Click on the photo for a larger view or scroll your mouse over the firemen valance above for detailed product shots. If you have any questions or concerns about our valances, or want to order over the phone, please remember you can always call us at 949.698.6278 or chat online with one of our experts in firefighter curtains.